A great way to immerse yourself in the natural beauty of Sri Lanka is to take a jungle safari to Gilitale or Minneriya National Park. Both the national parks give you an opportunity to enjoy an undisturbed company of nature and its wonders. Here, you will get to see hundreds of elephants roaming around in all their glory, and also can take a ride on the back of one of these elephants. The place is full of different kinds of flora and fauna, that are really pleasant to witness. Also, you can have a wonderful time watching the 150 different kinds of resident as well as migratory birds that are found here. 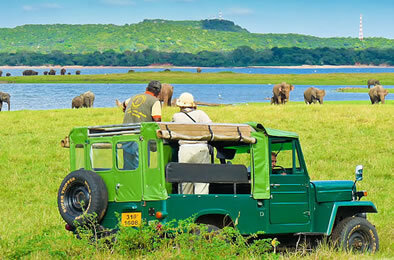 The jungle safari is a combination of adventure and rejuvenation, which any activity-lover would love to do.